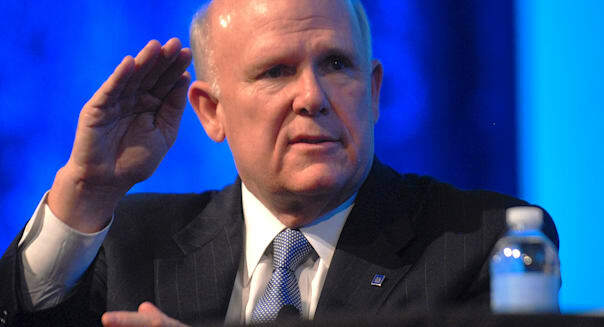 GM paid then-CEO Dan Akerson $9 million in cash and stock in 2013. DETROIT -- The U.S. Treasury last year permitted top executives at General Motors (GM) and Ally Financial (ALLY) to collect "excessive pay" while those companies were part of a taxpayer-funded government loan program, a special inspector general reported Wednesday. According to Christy Romero, special inspector general for the U.S. Troubled Asset Relief Program, "Treasury significantly loosened executive pay limits resulting in excessive pay for [the] top 25 executives" at GM and Ally while "taxpayers were suffering billions of dollars of losses" on loan repayments and share sales, said the report, prepared for Treasury Secretary Jacob Lew. The U.S. Treasury still holds a 13.8-percent stake in Ally. GM Chief Executive Officer Dan Akerson, who helped revamp the automaker after its 2009 government-sponsored bankruptcy and taxpayer-funded restructuring, was paid $9 million in cash and stock in 2013, according to regulatory filings. Akerson retired in January. His successor, Mary Barra, was paid $5.3 million in cash and stock in 2013, when her title was executive vice president. The automaker also said its executive compensation plan is pegged to similar plans at a group of 20 large multinational companies in various industries, including General Electric, Ford Motor (F) and Chevron (CVX). In April, Treasury said it lost $11.2 billion on the $49.5-billion GM bailout.